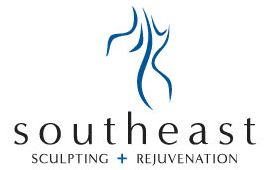 As a board-certified OB/GYN practicing in Fort Mill, and Rock Hill, South Carolina, Joe Robinson, MD, offers expert, customized care to patients at Southeast Sculpting + Rejuvenation. Dr. Robinson is committed to delivering personalized treatments to help patients look and feel their best. Dr. Robinson earned his medical degree at the University of South Alabama in Mobile, Alabama, before serving his residency at the Medical University of South Carolina in Charleston. He is a Fellow of the American College of Obstetricians and Gynecologists, as well as a member of the American Association of Gynecologic Laparoscopists, the American Urogynecologic Society, and the SouthAtlantic OB/GYN society in addition to state and local associations. In addition to his training and 37 years of experience as an OB/GYN, Dr. Robinson is trained and qualified to deliver a variety of medical aesthetic treatments, including MonaLisa Touch®, Bioidentical Hormone Replacement therapy, cosmetic injectables such as Botox®, and dermal fillers. Dr. Robinson also offers PDO threading, a minimally invasive procedure that lifts and tightens skin to restore a youthful appearance.